Kid mortality on Ontario dairy goat farms has been estimated to be 20-30% from birth to weaning, which greatly exceeds the average calf mortality rate in dairy cattle (~5-10%). 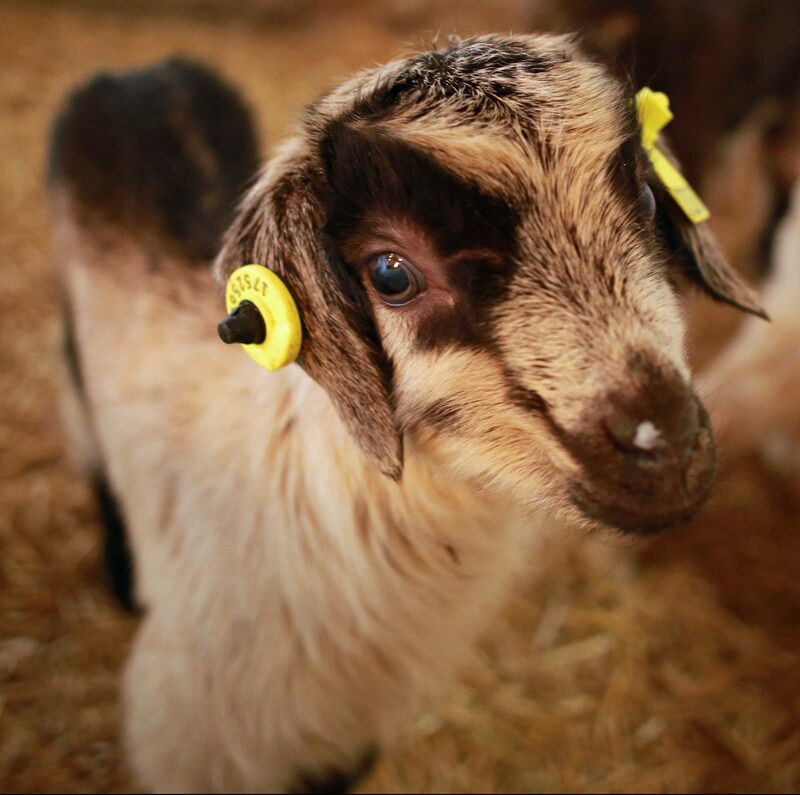 The post-natal period in the dairy goat industry is difficult to manage due to the large number of kids born in a short period of time. This makes the animals susceptible to failure of passive transfer, pneumonia, coccidiosis and other diseases. Kid mortality has been identified by Ontario Goat and the Small Ruminant Ontario Animal Health Network as a significant issue and barrier to industry growth. However, there is a lack of available data on the actual level of mortality in dairy goat kids and concurrently there is little evidence as to the main causes. 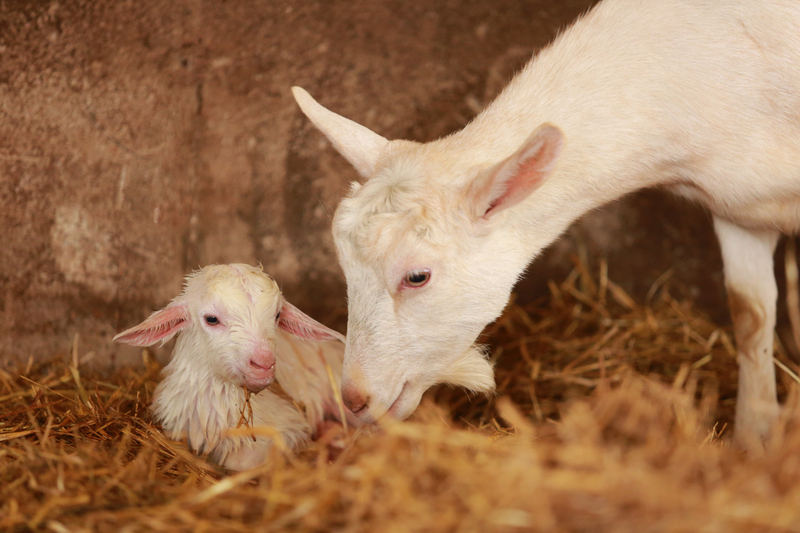 Currently, a project jointly supported through the University of Guelph, OMAFRA and industry stakeholders is investigating kid mortality on Ontario dairy goat operations. This study is comprised of 3 phases to be conducted over 3 years. In Phase I of the study, researchers will conduct on-farm visits of ~100 licensed producers in Ontario to quantify their perceived herd-level mortality via questionnaire. On-farm parameters such as ventilation, overall hygiene, and stocking density will be assessed. Approximately 90 producers have already consented to participation. All phase I participants are offered a complimentary colostrum analysis (immunoglobulin levels and total bacterial counts) as well as an assessment of failure of passive transfer in kids aged 3-7 days. Failure of passive transfer is a result of inadequate colostrum consumption in the first 24 hours of life that results in low serum levels of immunoglobulins. This would result in an increased susceptibility to illness and death. In the second phase of the study, a subsample of 30 of the responding farms will be followed by researchers for a 12-month period, where all carcasses from kids that die on-farm from birth to 120 days of age will be collected. Currently, there are 15 producers actively enrolled in the second phase of this study. All collected carcasses will undergo a post-mortem at the Animal Health Laboratory at the University of Guelph, and 10% of this will undergo more detailed testing, such as virology and microbiology, to identify the specific cause of death. Postmortems are veterinary exams performed on deceased animals in the hopes of determining the cause of death. As an incentive to participate, producers will be provided with a standardized hand-held scale, reimbursement for tagging or record-keeping material, and a freezer in which to store carcasses, until pick-up of dead kids can be accomplished. Apart from a 12-month time commitment, producers are asked to weigh and tag all kids born on-farm, as well as keep written records on standardized forms provided. All supplies for storage of carcasses, as well as carcass pick-up, are provided by the study. Taken together, the data obtained from phase I and II will help to determine the most important causes of kid mortality in Ontario and the associated risk factors. The project is looking for additional participants for both Phases I and II. Contact Dr. Julia Kim at jkim16@uoguelph.ca to learn more or sign up your farm. The third phase of the study will be focused on taking the information obtained from phase I and II and making it accessible to producers, veterinarians, and industry stakeholders. By conducting this study, researchers are hoping to raise awareness about kid mortality with producers and through participation in this study, leave a footprint on each farm regarding baseline kidding and kid health record-keeping, quantification of kid mortality, and developing protocols for diagnosing the causes of mortalities in the future. Information generated by this study will identify topics for knowledge transfer to raise the productivity of herds throughout Ontario.